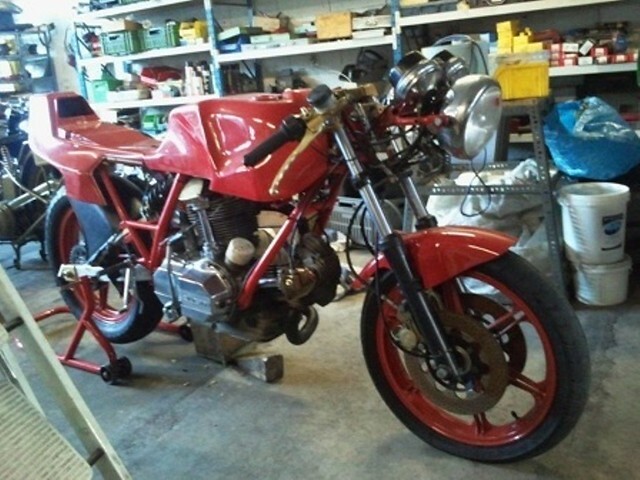 I'm happy having found this very nice website.I'm building up my ducati 900 mhr after a long thirty years pause; in 1983 I bought a second hand 900 mhr and after half year riding I decided to order better parts directly to NCR / Bologna. I received them but had never time to mount these parts as my job for international red cross brought me away from home for a long time. I'm now fifty and back home and happy to be ready to finish the job as my Ducati was the best bike I never had (and I had quite a lot!). As the ncr frame is smaller than the original one some parts have to be done by myself with help of friends;finding spare parts is quite difficult but I met yesterday an old guy who bought a full stock of spare parts from the official importer.Hopefully the bike will be ready in approx 40 days! having it homologated is another story as swiss officials/laws are tough. I will keep on making pictures till I finish the job.